London. 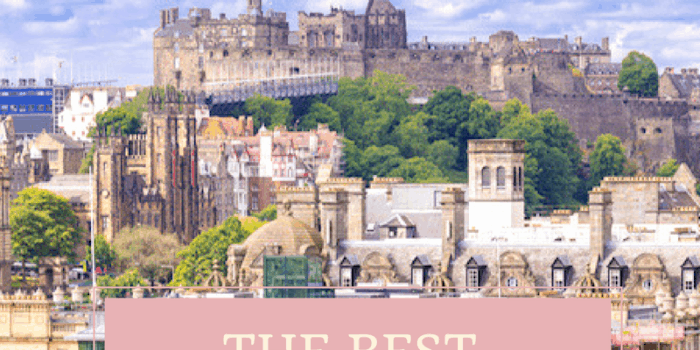 There are few words left that haven’t already been used to describe the sprawling, historical, cultural, and iconic capital of the United Kingdom. A visit to London is a visit that will leave you at first overwhelmed by the scale and the grandeur of this vast and constantly moving city. 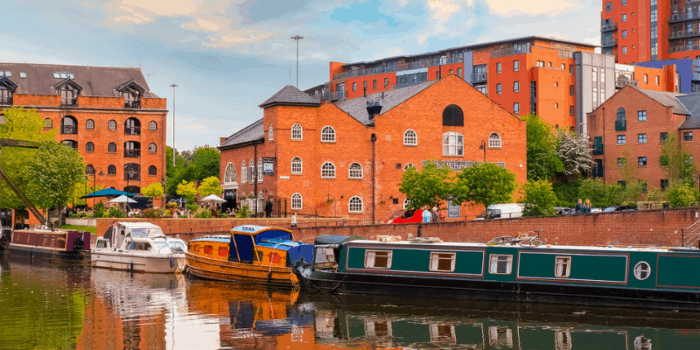 Soon enough though, the charming sights and world-famous monuments will begin to draw you further into the delights and fascinations of the UK’s largest city. 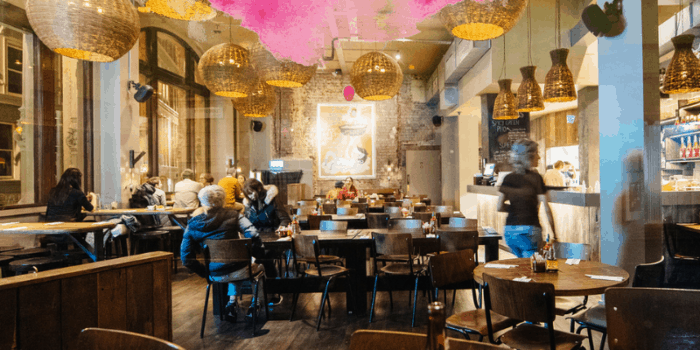 From the ancient walls of the Tower of London to the vibrant market stalls and shops of Camden Town, there’s a variety of fun places to go in London. Immerse yourself in the royal parks and palaces, explore the River Thames by boat, or simply eat, drink, and shop your way through the capital. 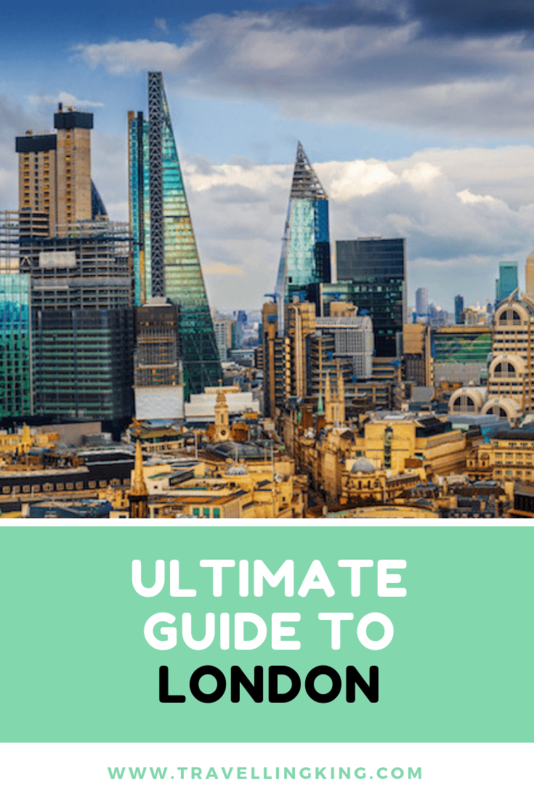 I’ve put together the ultimate London travel guide to help you find your feet quickly in the city, from travelling on the tube to finding the best markets and shows. 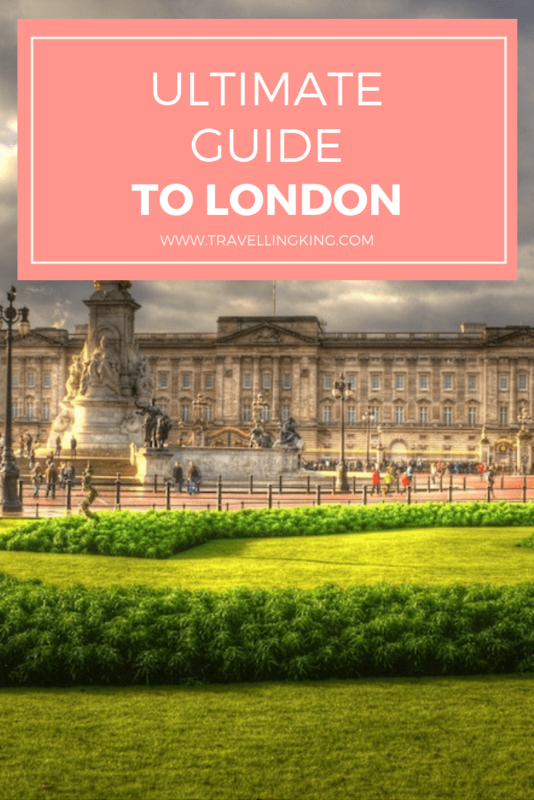 Read on, and perhaps London won’t seem so overwhelming after all! London is really a city that can be visited any time of year. There are so many activities to do that regardless of the weather or season, you will always find something happening. In summer, when many tourists visit, locals and visitors alike fill the streets, the parks, and the beer gardens of London to enjoy the brief summer sunshine that usually only lasts from May until August. Come autumn time, London can be a colourful affair of falling leaves and multicoloured scenery, particularly in the parks, and as Christmas approaches, the city becomes a Winter Wonderland. The locals ignore the cold to set up festive markets, ice rinks, and light displays, making the end of the year a very unique time to visit. 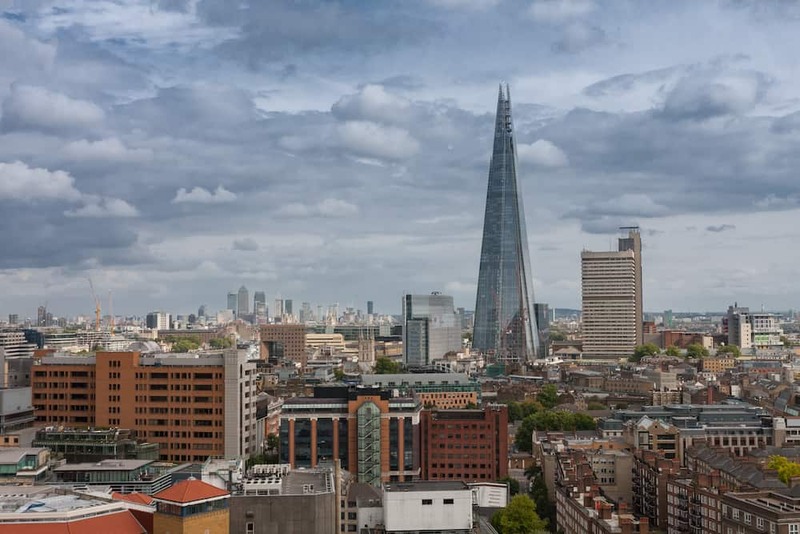 The Shard is the tallest building, not only in London, but in the United Kingdom, and a visit to the top of this monolithic glass building makes for one of the best activities in London, as long as you aren’t scared of heights. An elevator whisks visitors to the viewing platforms at the top levels, where some of the best views of the city await you, as does a cocktail and champagne bar. 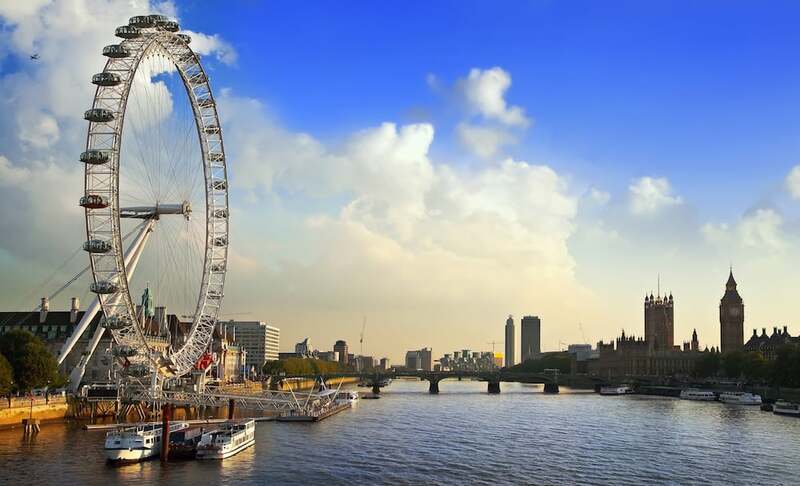 The London Eye is found opposite Westminster, on the banks of the River Thames, and offers visitors sweeping panoramas of the city as they reach heights of up to 135 meters on their way around this enormous Ferris wheel. It’s an exceptional way to experience the city. London is home to many beautiful green spaces, some of the best of which are the many royal parks found across the city. Take the time to explore these remarkably well-kept areas on foot. 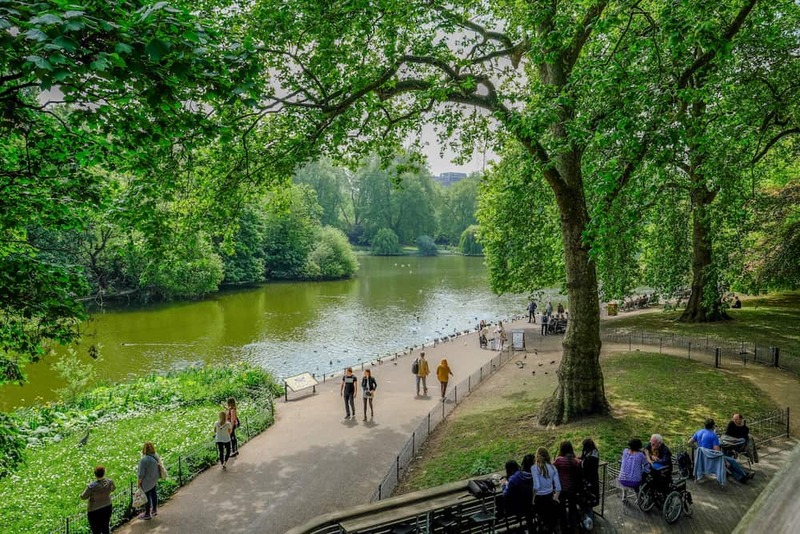 Begin by walking through St James’s Park, a landscaped area, which leads to Buckingham Palace, before crossing through to visit Hyde Park, and then the gardens that surround the Royal Palace of Kensington. Further afield, Hampton Court Palace – once the home of Henry VIII – has extensive and incredibly colourful gardens to wander around, while the royal park at Richmond is a haven for deer and makes for a wonderful day away from the city itself. 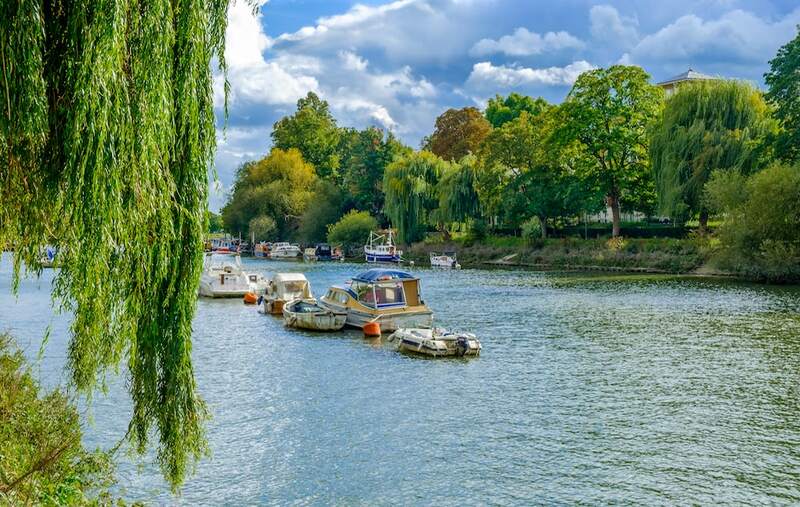 One of the best ways to see London is to simply follow the River Thames. 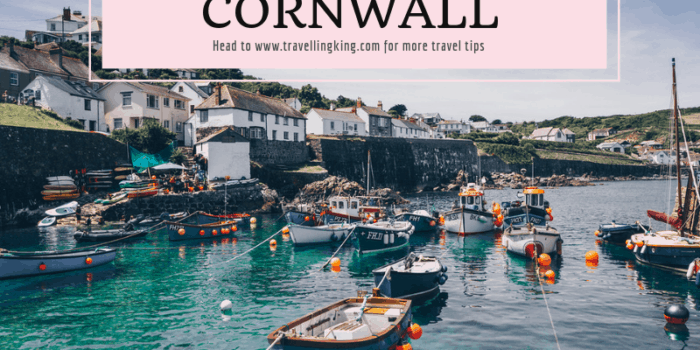 Stroll along the wide footpaths on either side of the great river, cross over on famous bridges such as London Bridge or Tower Bridge, or take to the water itself, and cruise the river by boat or the public ferry for a truly authentic experience. 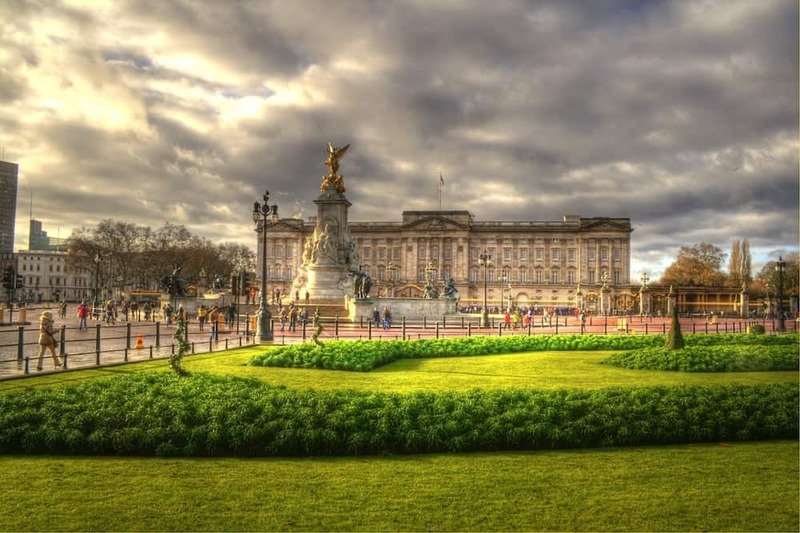 Buckingham Palace is one of the most iconic buildings in the world, and of course, a must-see attraction. This is the queen’s royal residence, so you can’t go inside, but the opulent architecture is stunning. Arrive here in the morning and you will have the opportunity to witness the elaborate Changing of the Guard ceremony, which is held at the palace at 11am Monday to Saturday and at 10am on Sundays. 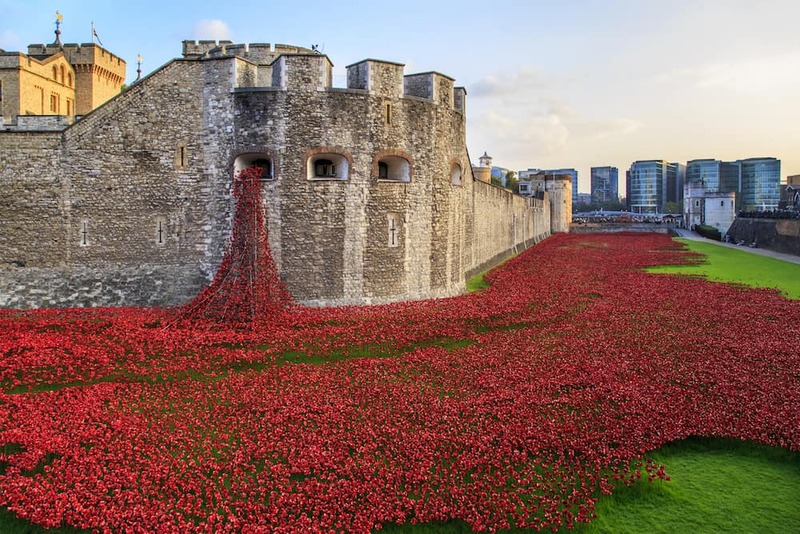 The Tower of London is one of the most historic attractions in the city. 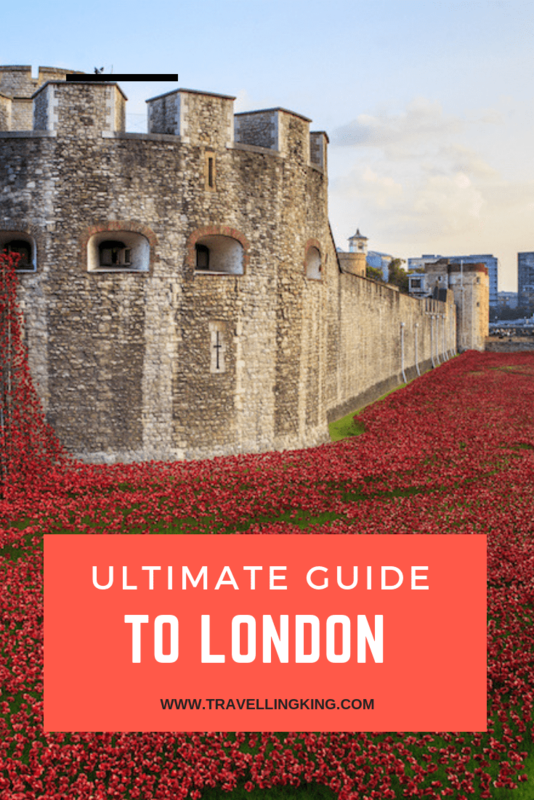 Dating back to the days of William the Conqueror, exploring the towers, turrets, and keeps of London’s most famous fortification makes for a great day out. See where the crown jewels are still kept to this day and watch the Beefeater guards in their red uniforms marching along the walls. Westminster is the site of the Houses of Parliament, Big Ben, Westminster Abbey. and many, many more of central London’s best attractions. 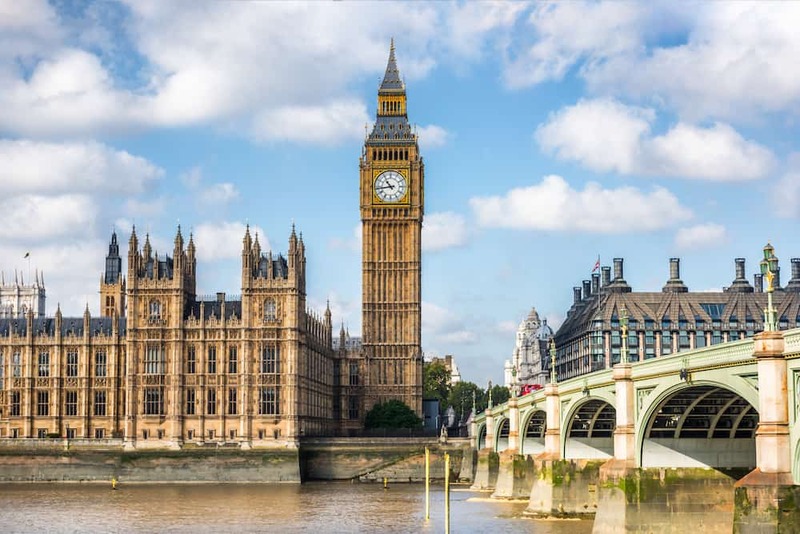 Spread along the River Thames, walk the streets of this historic London borough, visit parliament, pay your respects at the Abbey, and experience the best that the capital has to offer. The British Museum is one of the most fantastic places of interest in London. The museum houses hundreds of thousands, if not millions, of artifacts from across the world, and through the centuries. There are many great permanent exhibitions – most of which are free to visit! – and some intriguing temporary ones too, throughout the year. 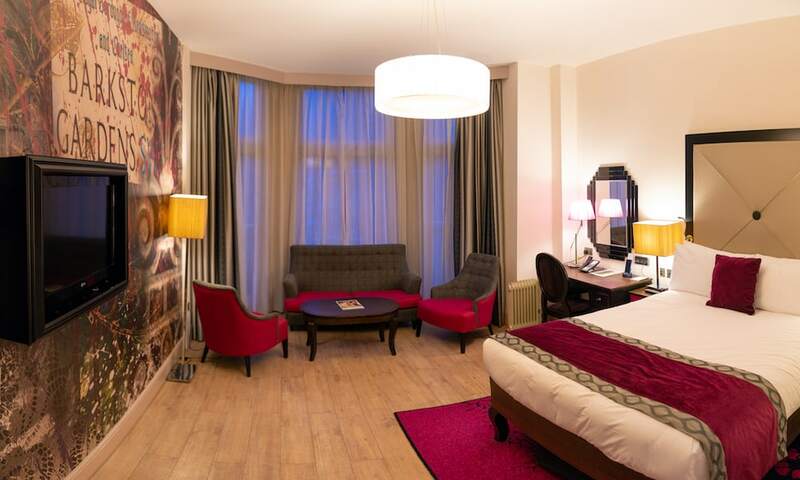 The Mad Hatter Hotel offers boutique mid-range accommodation in central London, with elegant, antique-style furnishings and excellent service. Of course, the name is rather excellent too, and reason enough to stay at the Mad Hatter! If you are after opulent elegance and have the cash to splash out, then the Shangri La Hotel at the Shard is a brilliant place to stay. The epic location offers guests the chance to stay in London’s highest hotel, with incredible views and even better amenities. London is by no means a ‘cheap’ city to visit. It’s one of the most expensive places in the world to live, and tourists will, unfortunately, find it to be a particularly expensive city to travel to. 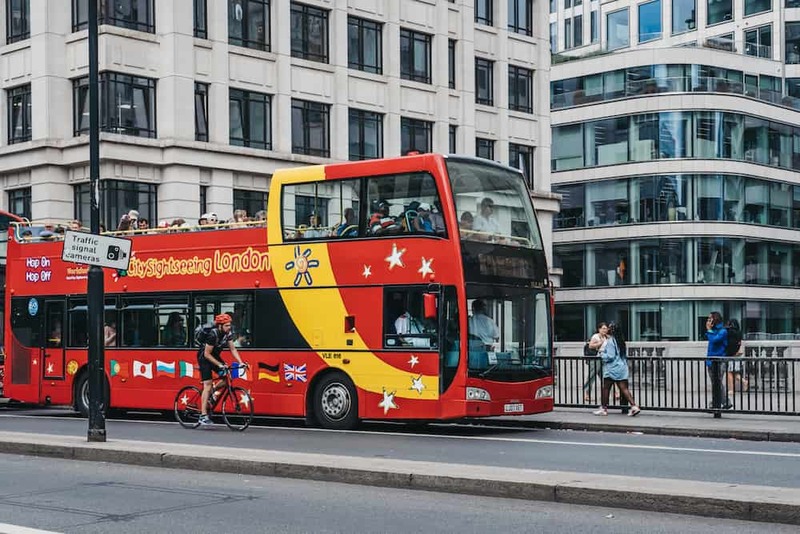 There are ways to cut costs and to make your money go further when you are touring London attractions and the first-way to budget is by taking the Tube or the bus. If you have a contactless credit or debit card, then this is the easiest way to pay for your ticket. Simply touch your card to the barrier, and it will automatically calculate and give you the best fare through the day, ensuring that you never pay for more than a Day Ticket worth of travel. 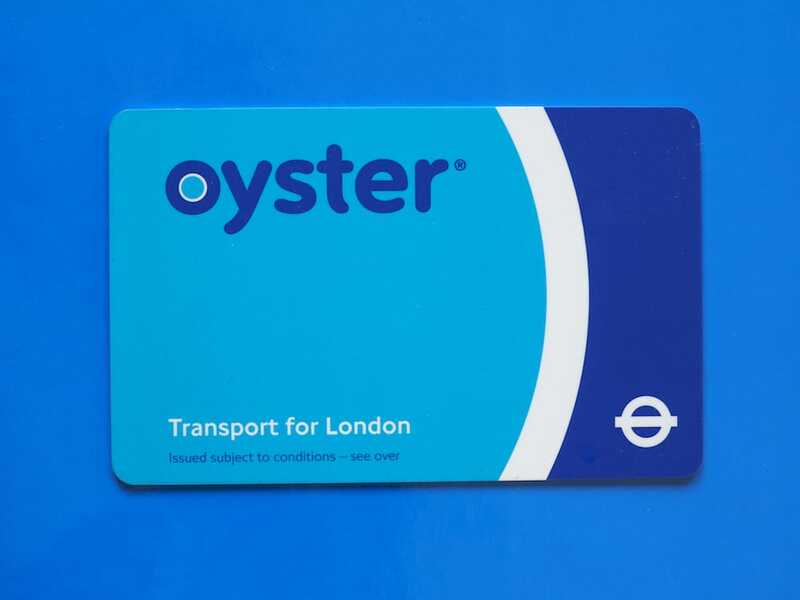 You can get the same fares with an Oyster Card too, although this needs to be topped up in advance. 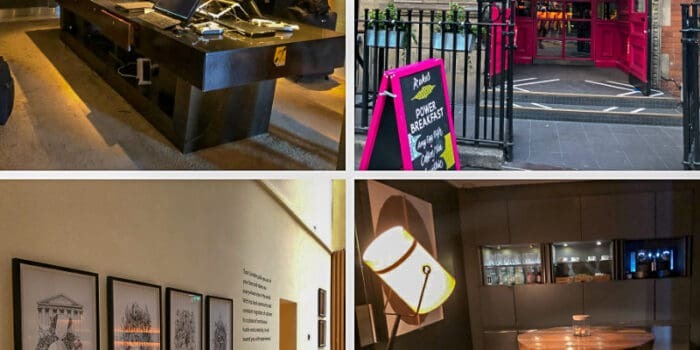 Another fantastic way to save on costs and to ensure that you enjoy some great, fun days out in London is to join one of the many inexpensive tours in the city. Several companies offer free walking tours of London. These are great ways to see the best sights on foot, with a knowledgeable London tour guide. At the end of the day, all you pay is a tip that you feel is appropriate. If you don’t enjoy yourself, then you don’t pay. If you love it, you give what you can. Joining a London Hop on Hop off Bus Tour can be a fantastic way to get around the city too, and to see all the iconic sights. You can go at your own pace, and of course, you get all your transport in the ticket price. 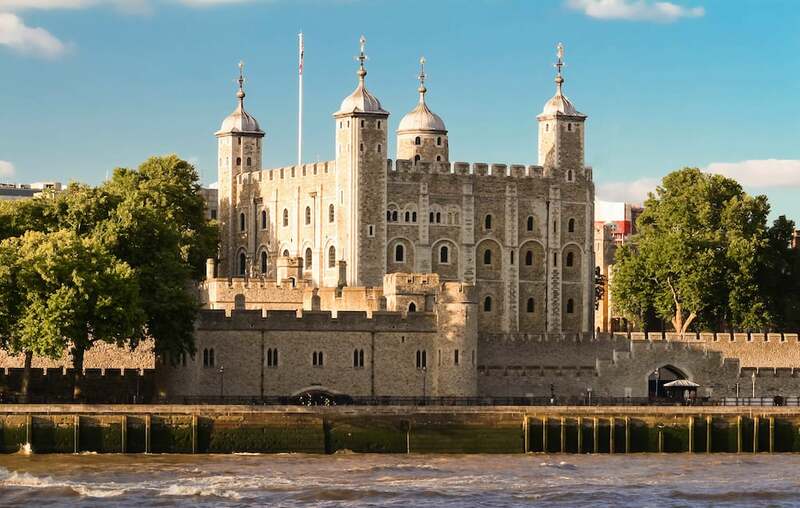 If you are planning on visiting many of the museums and major attractions such as the Shard or Westminster Abbey, then purchasing an inexpensive London Pass can save you a lot of money over the length of your visit. Windsor Castle is the Queen’s weekend residence. She stays here when she needs a break from the city, and for visitors to London, it makes for a great break from the city life. 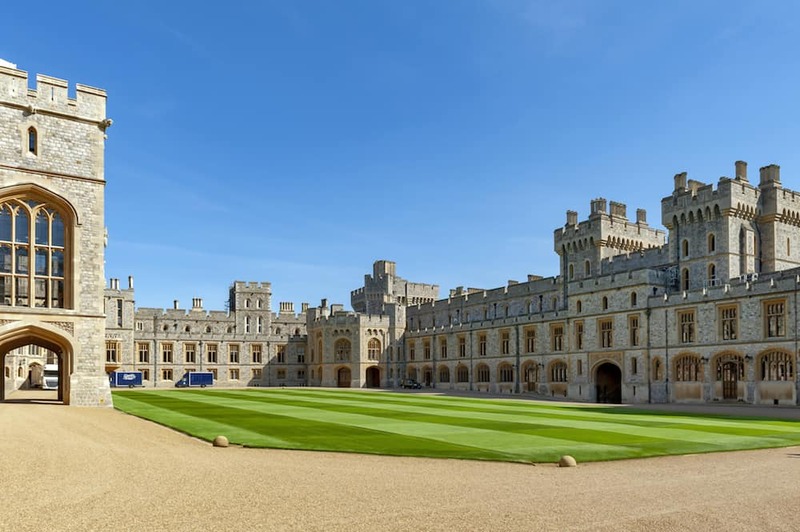 Explore the extensive castle grounds and enjoy the charming English town of Windsor at the same time. 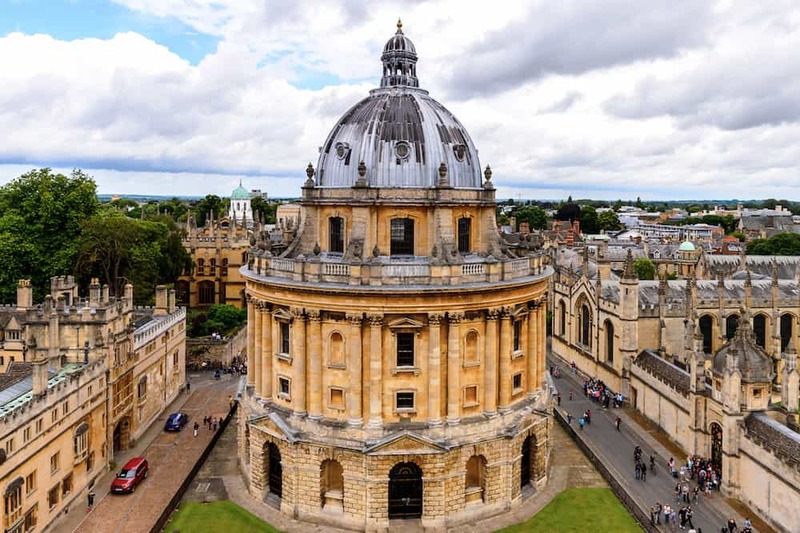 The dreamy spires and history-filled colleges of Oxford are just a one-hour train ride away from central London. 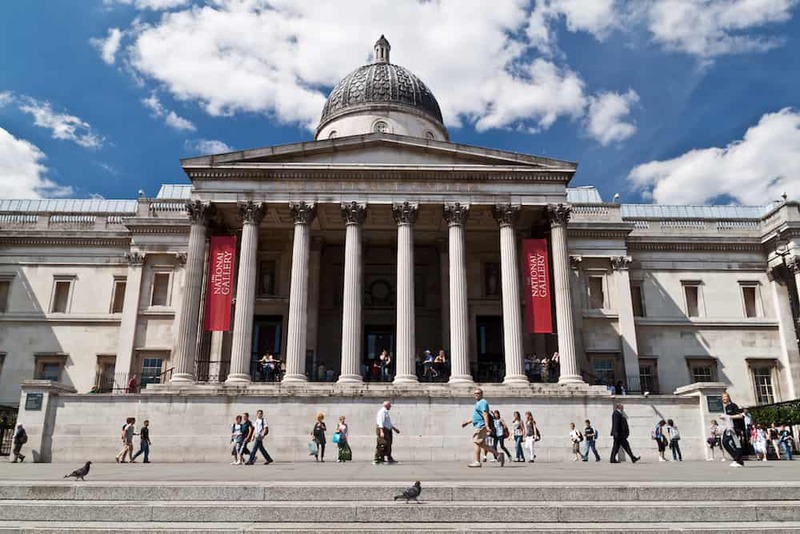 Experience one of the world’s oldest universities, go punting along the river, and visit the world-renowned Ashmolean Museum. The Roman city of bath is one of the most beautiful locations in England. The historic streets are awash with culture and rustic beauty. 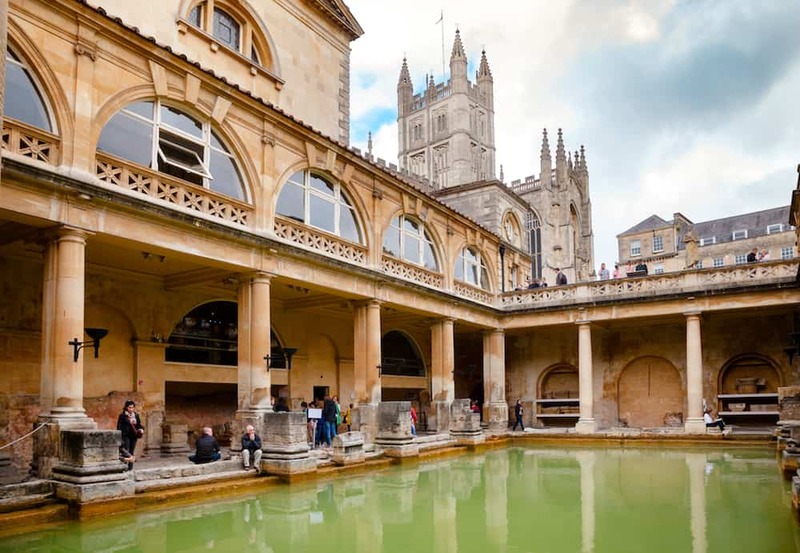 Tour the old Roman baths that made the city famous, before visiting the new, modern baths that offer a relaxing bathing experience. 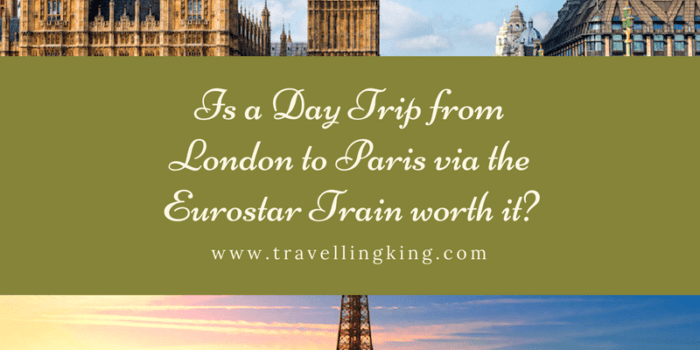 Our favourite day trip from London is Paris, I’ve always wanted to see Paris even if it was just for the day. 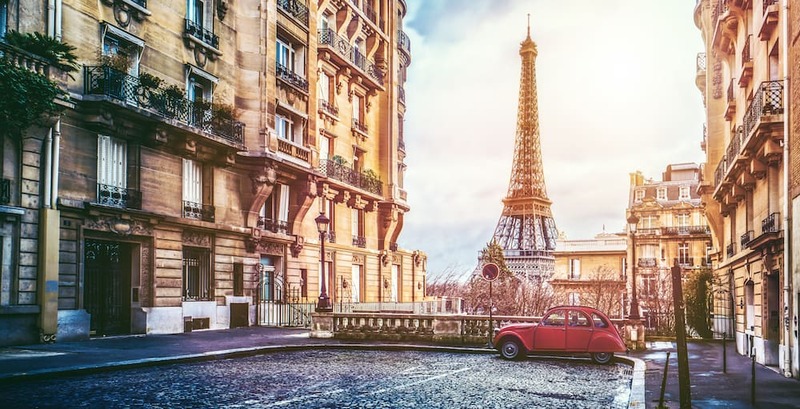 Enjoy lunch on the Eiffel Tower, 1 hour River Seine cruise and a trip to see the Mona Lisa at the Louvre. Want to see what you’re getting into? Check out our trip report here. 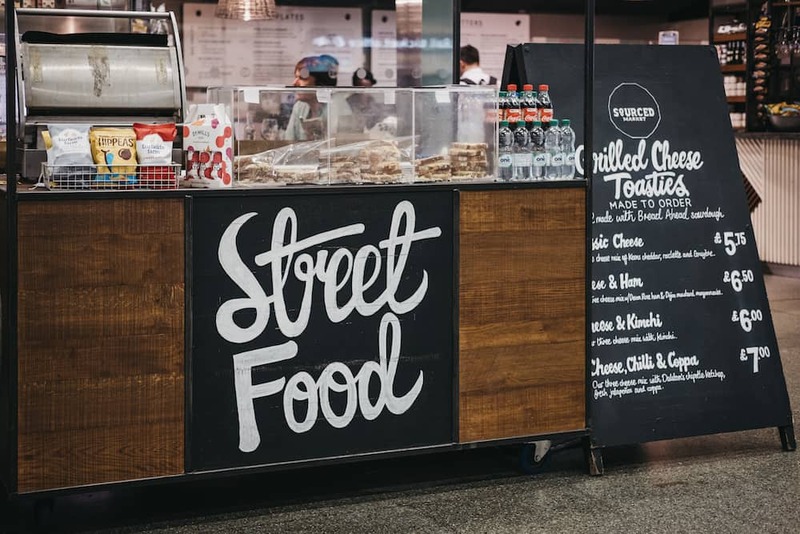 If you are on a budget but are still looking for a great bite to eat, then head to London’s busy Borough Market for an endless choice of interesting and low-cost options. This is one of the city’s oldest marketplaces; located next to London Bridge, Borough Market today specialises in food, and here you can find anything from Thai street food to a greasy fish ‘n chips. The UK’s national dish, although debatable, is said by many to be the tikka masala. The country produces some of the best curries in the world, and London is no exception. For a delicious Indian curry, then head to Brick Lane, a place famous for the quality and quantity of its curry houses. The pub is the country’s most loved institution. One of the best things to do in London is eat or drink out at an English style pub in the capital, and truly, the choices are endless. Make sure you try the pub-style food, which can be anything from sausage and mash to a full-on roast dinner if you are visiting on a Sunday. 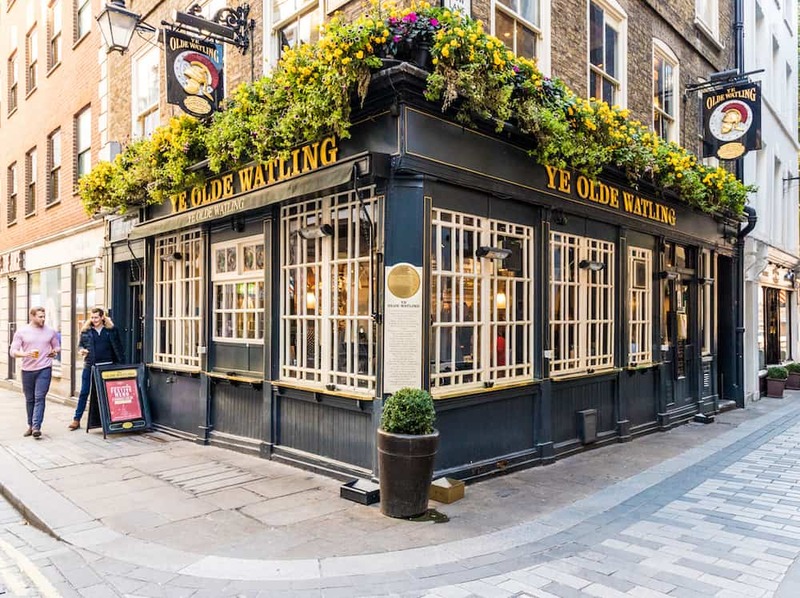 Pubs today come in every price bracket, with cheap, greasy eats and upmarket boutique gastropubs to be found across London. London’s Oxford Street is one of the busiest and liveliest shopping streets in the capital. This is high-street central, where you can find hundreds of shops and retail outlets stretching along the road. 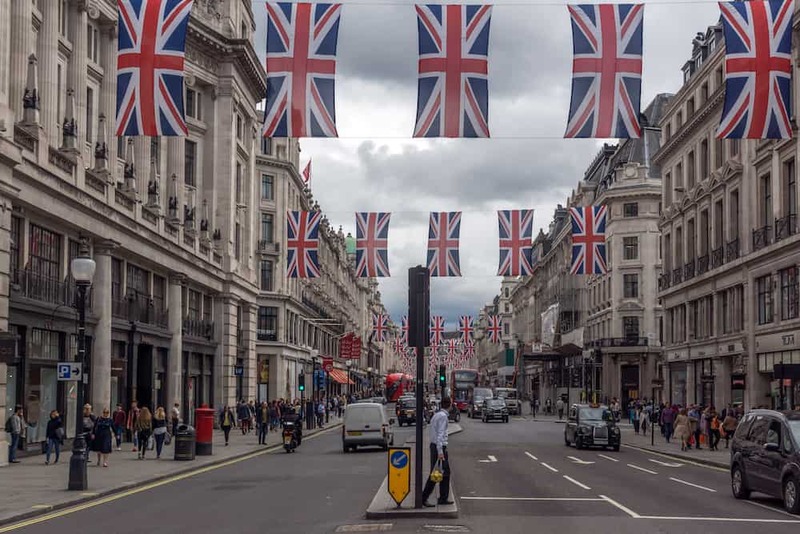 If you want the best selection of British and international chains to shop at in London, then Oxford Street is the place to go. Covent Garden has long been home to one of London’s most famous markets, and although the days of fruit and vegetable vendors peddling their wares from carts are long gone, the market spirit lives on. The grand, undercover terraces of Covent Garden are now brimming with small, boutique shops and cafes, selling unique gifts, handicrafts, and artwork. Knightsbridge is the site of the iconic Harrods Department Store. The lavish, multi-levelled Harrods is an upmarket shopping experience, and it’s more than likely you will spot some of London’s rich and famous perusing the aisles. You can purchase anything expensive here, from gourmet food to watches and instruments. London is quite literally full of musicals, shows, and performances. 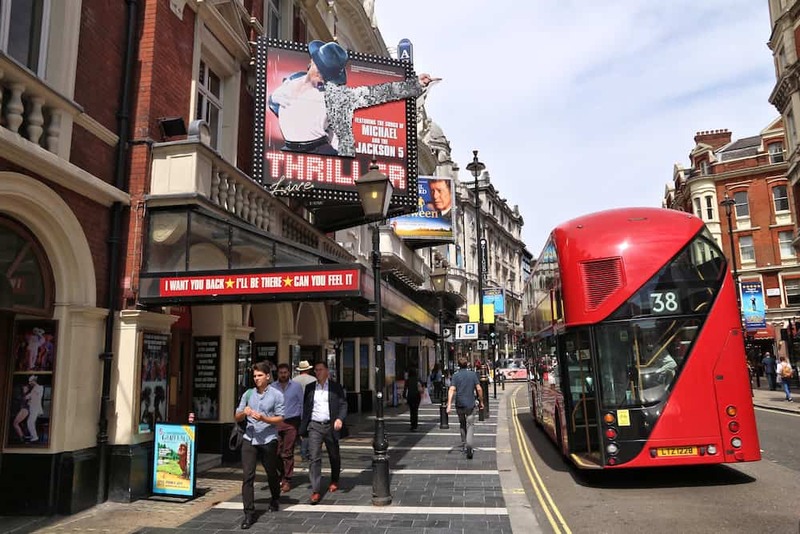 One of the best areas to catch a performance while visiting London is the West End, where many famous musicals are held every night of the week. Although many are sold out far in advance, if you want a cheap ticket, then turn up on the day, mid-week, and you can often get bargains direct from the box office.